Collaboration sneakers with the Converse Pro Leather and Play Comme des Garcons will be released. Basket classic model of Converse “Pro Leather” is based. High cut and low cut. Two colors of black and white. 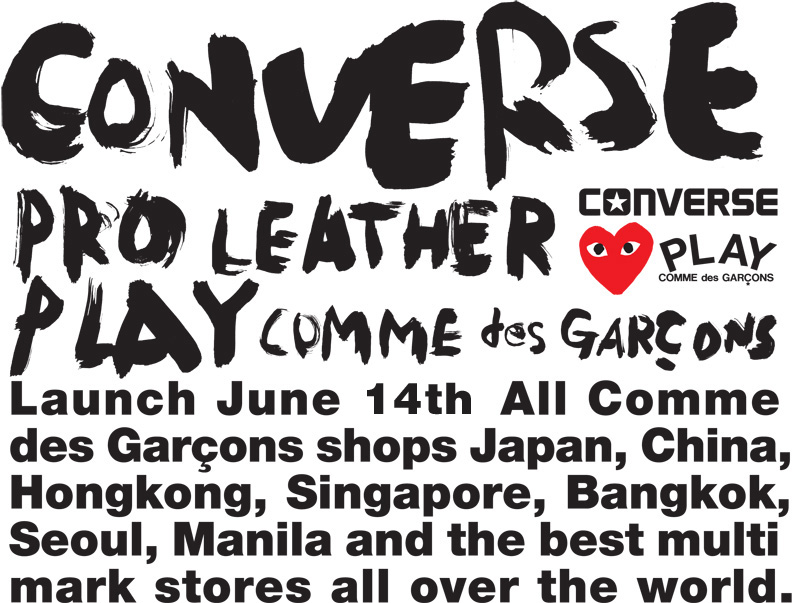 Launch June 14th All Comme des Garcons shops Japan, China,Hongkong, Singapore, Bankok,Seoul, Manila and the best multimark stores all over the world.